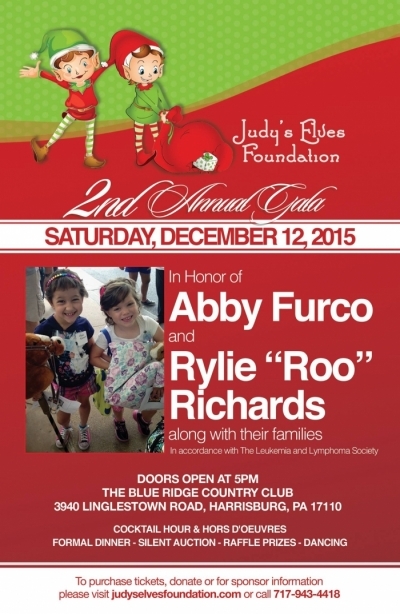 Klock Entertainment is excited to provide the DJ Entertainment for the 2nd annual Judy's Elves Foundation's Christmas Gala at Blue Ridge Country Club on December 12th. We will be joined by our friends from Zeroday Brewing who will bring along some holiday cheer as we help rock the house and raise money to benefit children through The Leukemia and Lymphoma Society. Judy's Elves Foundation was founded by our good friend, Jarrett Juran of Films by J, to honor his godmother and help local children who have been affected by illness. Jarrett has created a documentary about this year's beneficiaries. We've posted a snippet of the film below, and the full video is available on Judy's Elves Foundation's Facebook Page. This year's Christmas Gala will feature a full dinner, silent auction, raffle, and, of course, dancing and holiday fun. You can learn more about the foundation and event and purchase tickets through http://www.judyselvesfoundation.com/.